Ostfildern/Berlin (25 January 2018) The current DAT Report representatively analyses the purchase of used and new cars, and consumer workshop behaviour in Germany. Deutsche Automobil Treuhand GmbH (DAT) will present the current results of the DAT Report in Berlin on 25 January 2018. Around 250 guests from the automotive industry, the media and policymakers will attend the presentation and receive the first exclusive copies of the DAT Report 2018, a consumer study that has been published annually for 44 years. The presentation will also include a discussion panel composed of industry representatives. The current DAT Report representatively analyses the purchase of used and new cars, and consumer workshop behaviour in Germany. It also provides information on usage patterns and attitudes of car buyers and car owners to their cars. Separate chapters on diesel and alternative drive systems complement the DAT Report. Below is a selection of the findings. Driving pleasure continues to increase: Ninety-five per cent of new-car buyers, 91% of used-car buyers and 85% of car owners in Germany confirm that they enjoy driving a car. Moreover, more than 90% of all three groups of respondents feel that their mobility is restricted without a car. There is clearly a willingness to invest in mobility: The rise in vehicle prices was practically comparable to the rise in car buyers’ net household income. Fifty-eight per cent of the net household income in a new-car buyer’s household was invested in the new car. Twenty years ago, this figure was 64%. Used-car buyers invested 30% of their current net household income in the car purchase – practically the same as 20 years ago (31%). For the first time, new-car prices exceeded €30,000 (€30,350), while used-car prices amounted to €11,250, marginally lower than those of the previous year. The car’s appearance and design are becoming more important: Although environmental impact and fuel consumption are still important, their importance has dropped marginally over the last 10 years. In contrast, appearance and design have become marginally more important: When rating specific criteria for the purchase of a new car, environmental impact achieved a rating of 1.99 in 2008 and 2.10 in 2017. In the case of used cars, this dropped marginally from 2.32 to 2.36. The importance of the car’s appearance increased from 1.61 to 1.43 for new-car buyers, and from 1.84 to 1.58 for used-car buyers. The diesel issue has influenced car purchases: Twenty-three per cent of new-car buyers stated that the diesel issue influenced their purchase decision. Only 15% of used-car buyers said the same. Seventeen per cent of new-car and 20% of used-car sellers sold their own diesel cars, fearing impending driving bans or loss in value. Decline in used diesel cars in the single digits: According to the Federal Motor Transport Authority (KBA), there was a drop of 13.2% in new registrations and of 2.7% in transfers of ownership of cars with diesel engines in 2017 than in the previous year. About half believe in affordable retrofit solutions: Forty-eight per cent of new-car and 42% of used-car buyers think that industry and policymakers will provide a solution for the majority of the cars that could be affected by potential driving bans. Scepticism about the future of diesel has grown: Compared to the survey for the previous year’s DAT Report, the proportion of car buyers responding ‘yes’ to the question ‘Will the importance of diesel diminish in the future?’ increased by 10 percentage points to 38%. How long it takes to buy and sell a car: Buying a car in Germany takes about a month (38 days for a new car; 30 days for a used car). Selling your own car takes about 22 days. This applies to both diesel and petrol engines. In Germany, a car is owned for six to seven years on average. Reliability remains the top factor in the purchase decision: The most important factor for all car buyers is the reliability of their car. In the case of new-car buyers, this is followed by design and price, while in the case of used-car buyers, price comes in second, followed by design. In both cases, fuel consumption is fifth, while environmental impact is 16th in the case of new-car and 15th in the case of used-car buyers. Resale value is 13th in both cases. Used cars are mainly bought from franchised dealers: For the first time since DAT started analysing the market, 51% of the used cars were bought from franchised dealers, 32% from private owners and 17% from non-franchised dealers. Financing is gaining more popularity: Financing new and used cars is becoming increasingly common. Nowadays, 44% of used cars (previously: 41%) and 64% of new cars (previously: 61%) are financed. In addition, 17% of new cars are leased. This applies to private car buyers—commercial leasing is considerably higher. The influence and use of the Internet when buying a car remains high: Buyers with Internet access obtain their information online—this applies to 80% of the new-car and 78% of the used-car buyers. Between 20% and 25% of all car buyers changed brand due to the Internet. Fifteen per cent bought their new cars from a new-car portal. Proportion of alternative drive systems remains low: According to the KBA, 3% of new and 2% of used cars had an electric, hybrid, natural gas or LPG engine in 2017. At least, 24% of new-car and 16% of used-car buyers considered such drive systems before their purchase. Range and charging infrastructure hinder the purchase of electric cars: While all buyers generally cited the high price of electric cars as the main obstacle to buying an electric car, those buyers that are deeply involved in new technologies (43% of all new-car buyers) have a different opinion—they chose not to buy an electric car because of the short range and the lacking charging infrastructure. The ‘price’ obstacle only came in third. Hybrid cars would be the first choice if purely combustion engines were no longer an option: When asked about the drive system of choice in such a scenario, car buyers’ first choice was the hybrid engine. In comparison to the exact question two years ago, purely electric cars clearly lost in favour of hybrid cars. High workshop loyalty and satisfaction: Eighty-two per cent of all car owners always have services and repairs done in the same workshop. Only 3% are dissatisfied with their workshop—in contrast, 78% are extremely satisfied and 18% satisfied. Consultation is important: In the event of an upcoming major service, 61% want to have a detailed consultation, while 36% prefer to simply hand in the key and have a quick chat. Good location, good service and friendly staff matter: The three most important reasons for choice of workshop are location, service and friendliness. Cost-effectiveness only came in seventh. The Internet is becoming increasingly important: Actually using the Internet before visiting the workshop still cannot be compared to obtaining information online when buying a car—only 14% searched for information on workshops and repairs. However, 34% of all car owners would make a service appointment and 27% a repair appointment online. Compared to the previous year, there has been an increase in buying tyres (from 21% to 23%), oil for an oil change (from 32% to 38%) and, in the case of those who repair their own car, car parts (from 19% to 21%) online. Documenting car damage with a smartphone: Forty-seven per cent of car owners stated that they could document any damage to the car with a smartphone, including photographically. In terms of the extent of the damage, 30% would want to document minor damage and 33% medium. Only 15% would dare to document major damage requiring the replacement of parts or paintwork in this manner. In addition to the above findings, the DAT Report also includes a variety of other topics, such as consumer attitudes to date recorded by their car, choice of motor insurance, knowledge of alternative drive systems, factors affecting the choice of car dealer from whom the car was bought, the importance of warranty, and a detailed analysis of selling your own car. Visit dat.de/report to find out how to acquire the report. A graphic from the DAT Report, including additional details, will also be published separately on a monthly basis. The DAT Report has been published since 1974 and has since become the reliable, neutral source of information on the purchase of used and new cars, and on workshops. It is considered a standard reference of the automotive industry that annually provides accurate information on automotive issues in Germany in a unique manner. Since the inception of the DAT Report, the market behaviour of German drivers has become transparent and perceptible. Hence, this comprehensive study has been established as an important tool for strategic planning in the automotive industry for more than four decades. The DAT Report is consistently based on a representative consumer survey conducted by a neutral market research institute on behalf of DAT. 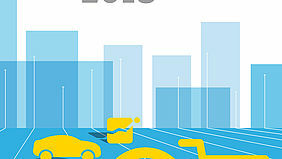 The current DAT Report 2018, which comprises 84 pages, will be presented to around 250 guests in Berlin on 25 January 2018, marking the start of the new automotive year in 2018. The DAT Report 2018 will be available to the public as of 26 February 2018, subject to a fee. All information on how to acquire the report is available at www.dat.de/report. The DAT Report 2018 has a new design and new content. 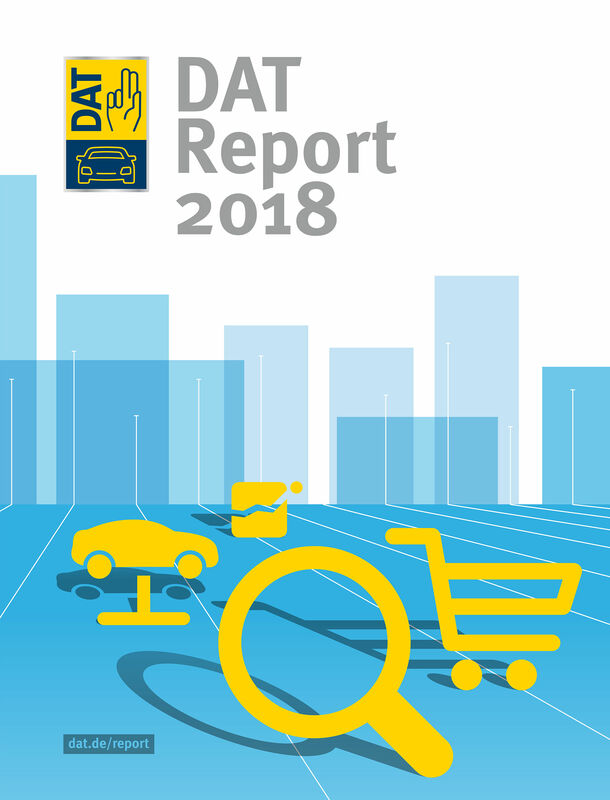 The market research institute GfK surveyed the car purchases and workshop behaviour of a total of 3,979 private individuals for the DAT Report 2018. Face-to-face interviews on car purchases were held with 2,563 people—the only condition was that the car purchase had to have occurred between March and June 2017. The interviews were held between July and October 2017. Questionnaires on repairs and services were sent by post to 1,416 drivers and car owners. Responses were returned in October and November 2017. Report figures, among other things, will be regularly posted on Twitter (www.twitter.com/datgroup) with the #datreport hashtag. Furthermore, the freeSilverDAT newsletter, which includes additional information from the DAT Report or special topics and flashbacks to earlier years or decades, is published once a month. You may register at www.dat.de/newsletter. Deutsche Automobil Treuhand GmbH (DAT) is an internationally active company in the automotive industry, with a mandate to collect and process comprehensive vehicle data and make it widely available to the industry, in particular through the SilverDAT® system. DAT sees itself as an impartial intermediary for all automotive industry stakeholders and has been supported by its partners, VDA, VDIK and ZDK, for over 85 years. This structure has given DAT a unique status and a special mandate within the automotive industry.